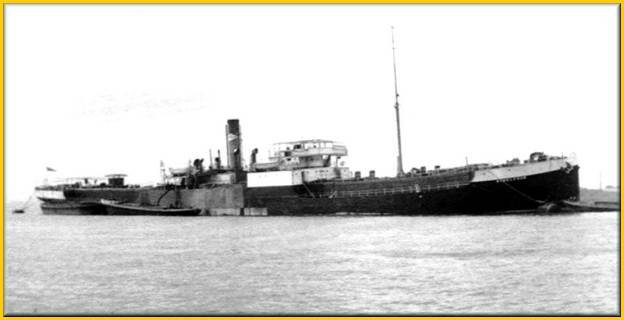 1922 When at Hull (laid up), sold for $7500 to British Molasses Co Ltd, renamed ATHELSTANE. About 1926 Sold to Skibs-A/S Oljetransport (manager S Dahl & Co A/S, Oslo), renamed GARD. 1928 The Times 3rd December : Oil Tanker Launched. 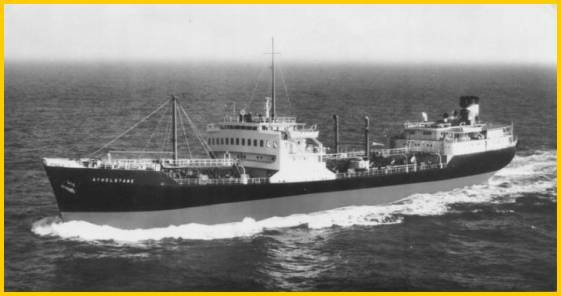 The Goole Shipbuilding and Repairing Company (1927), Ltd., last week launched an oil tanker which has been built to the order of The United Molasses Company Ltd., of London. The vessel is 185 ft in length (BP), and will have two large cargo oil pumps to deal with the cargo, which is carried in 12 tanks. Immediately after the launch, the steamer left for the works at Sunderland of Messrs McColl and Pollock, who are supplying the machinery. Before leaving the ways, the vessel was named Athelstane by Mrs G.S. Hopley, wife of Captain G.S. Hopley - one of the directors of the United Molasses Company Ltd, who was also present. The vessel and her machinery have been built to Lloyd's highest class under the superintendence of Messres T.T. Kennaugh and Co. of Liverpool. 1940 1st February : Torpedoed by U-59 off Great Yarmouth. WW1-Standard Z type Tanker: engines and all superstructure amidships. 1926 United Molasses Co; Athel Line formed. 1931 Owners G.O.Aarvold, Oslo renamed HIRD, on charter to Athel Line. 1942 9th April Bombed and sunk by Japanese aircraft at 07.30N 81.56E, near Ceylon, whilst serving as Royal Fleet Auxiliary on passage from Trincomalee for Colombo. All of her crew survived the ferocious Japanese air attack. 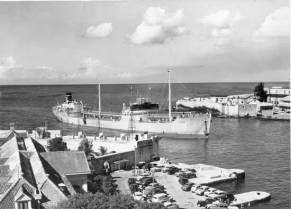 1957 owned by Holmens Rederi A/S & Vaboens Rederi A/S. 1960 sold to Harald A. Moller A/S, Oslo.